Milford on Sea Community Library is now 4 years old, and they have launched their latest programme for both children and adults. There is a lot going on, so please take a look at the details below to see what you would like to do, or for way to keep the kids amused. Milford on Sea Community Library is run by village volunteers and Hampshire County Council support the venture by providing the stock and limited librarian support. Our local MoS Community Library Committee and volunteers are responsible for staffing the library and raising enough money to cover the rent and other expenses. Any donations towards the running of the library are always welcome and there is a collection tin in the library. Third Tuesday of month 1.30-3.30 pm £1.50 per person to cover costs. Sam and Kerry at La Perle are offering a unique, fun and informal way of learning how to cook delicious food. 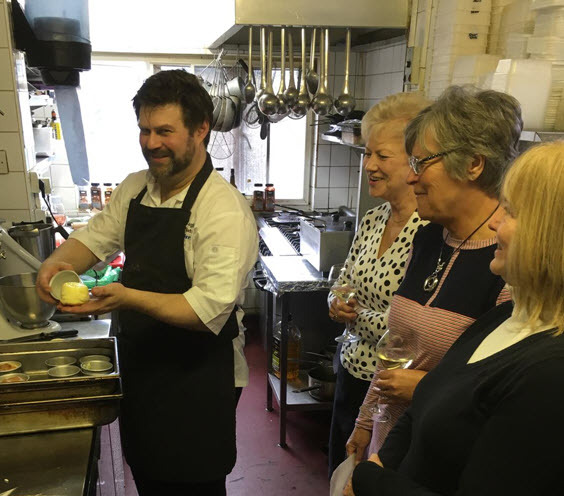 Suitable for anyone, from complete beginners to the most experienced cooks, their informative yet relaxed demonstrations aim to improve your culinary skills and hopefully you will leave with lots of inspiration to go home and get cooking! Why not buy as a gift? A Cookery Demonstration Gift Voucher is a wonderful present for the person with everything! The first Plastic Free Milford-on-Sea beach clean proved to be a great success on Saturday 6th April, with 45 people aged 6-76 turning up to help clean up the beach. The group collected 3 large sacks of rubbish which were then kindly collected by the NFDC Streetscene team for recycling and disposal. The strangest item found was a rusty saw, but the most common items were plastic food wrappers. The Plastic Free Team would like to thank everyone which took part, as well as Milford-on-Sea Parish Council, NFDC and Plastic Free Lymington for their support and more beach cleans will be taking place later this year. The team behind Milford on Sea’s annual Music Festival has announced this summer’s event will be more family-focused with a greater emphasis on promoting and supporting local and new musicians. The Milford Music Festival team said: “We wanted to look for a way to wind the festival down more gently in the evenings so there is less disturbance for local people living close to the village green. The Music Festival will take place from 8th to 14th July, with this year’s theme inspired by the 50th anniversary of the Flower Power movement and the first moon landing. However, the new arrangements means the festival team must raise money throughout the year in order to finance the week-long event. 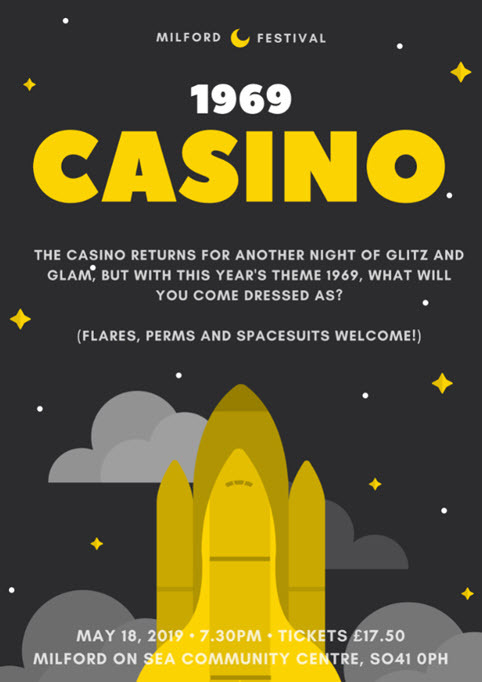 Plans include holding a number of festival events throughout the year, ranging from movie nights and recitals to comedy and casino nights (next is on the 18th May, tickets on sale now at the MoS Community Centre). “We love arts and music and wanted to promote it year-round in this wonderful village,” said the team. 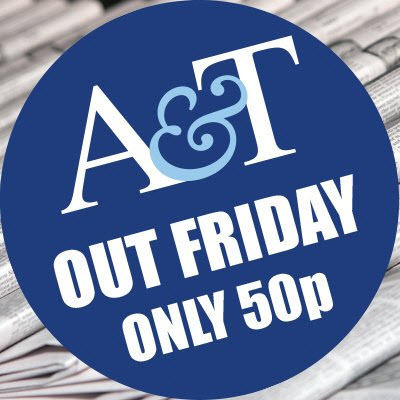 The new Friends of the Festival scheme allows supporters to pay an annual subscription of £30 or more in exchange for a discount card which can be used in shops and businesses around the village. Participating pubs and restaurants include The Wash House micro pub, The Beach House, Saltwater Cafe, Hurst on the Hill, Britannia Thai, Ray’s Italian Kitchen, Monsoori Heights and Verveine Fish Restaurant. Cardholders can also claim money off at Tu Sei Bella beauty salon, Timeless Fabrics, New Forest Paddle Sports Company, Moss on the Green and Hollands. The discount card runs until February 2020. The Milford on Sea Charity Shop is seeking a part-time Shop Supervisor to assist in operating the Village charity Shop. 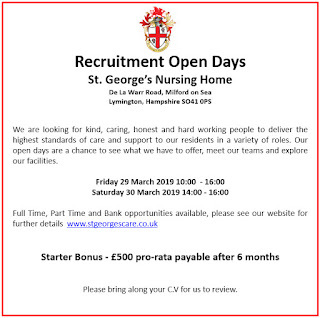 Daily hours are 9.40m to 5pm, and the position is for a minimum of two days (14 hours) per week, at a rate of £8.80 per hour. Flexibility in both hours and days worked would be an advantage. The role will include frequent Saturday working. Applications in writing to John Nicholas (Trustee) at the Community Centre, who can provide further details if required. 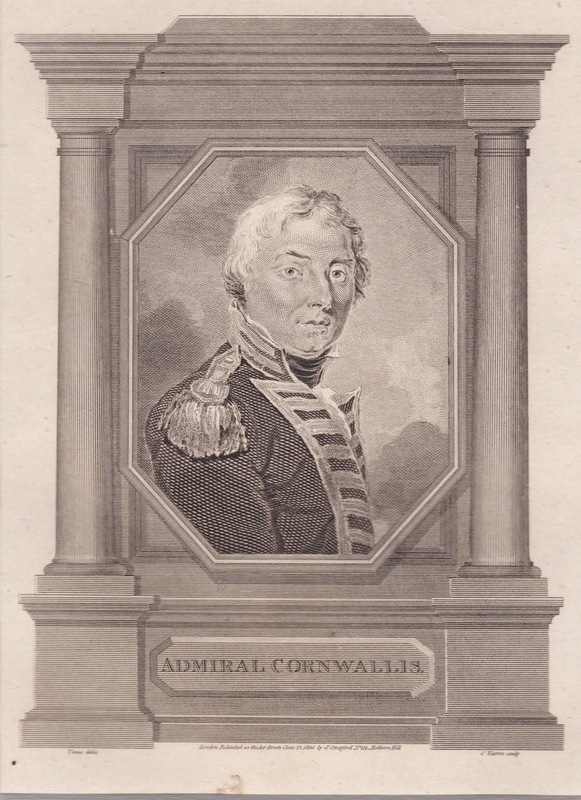 As part Cornwallis Remembered Celebrations to take place in July, the Milford on Sea Historical Record Society have provided this article on one of 'The three Admirals'. John Peyton (1752-1809) came from a naval family: his grandfather, father, and two brothers (one of them quite undeservedly) all achieved flag rank. He was the most distinguished of them all, although a nephew in some ways surpassed him. 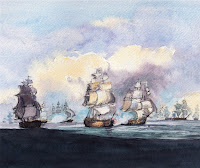 His fame nonetheless is immortal: he was one of the ‘Band of Brothers’, the fifteen Captains at the Battle of The Nile in 1798, the first of Nelson’s three great naval victories. 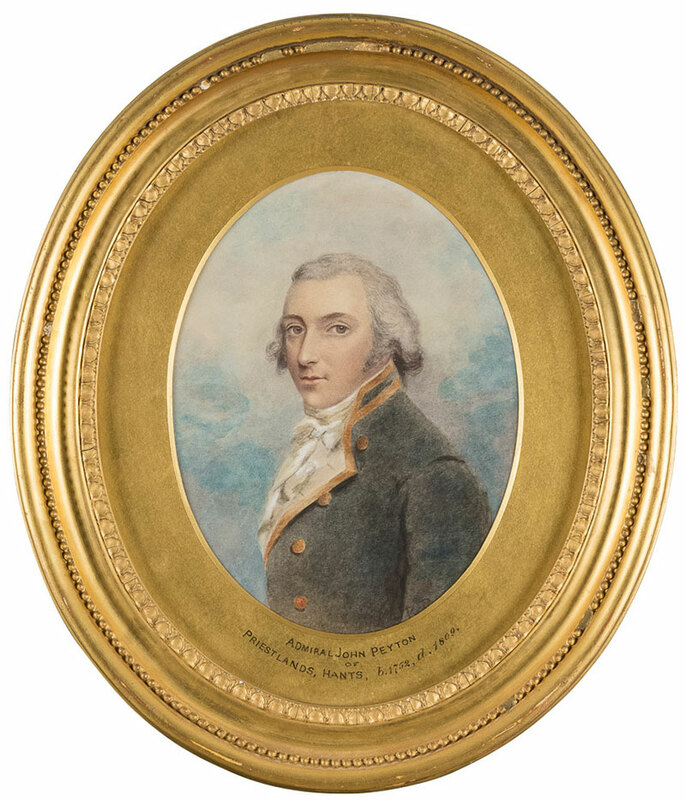 In October 1807 it was announced that Captain J Peyton had been passed over for promotion and retained on the list of superannuated captains, but allowed the nominal rank of rear admiral. Twelve days later, the Morning Chronicle expressed concern that a hero of The Nile should be treated this way. In fact, John Peyton was already a Rear Admiral at this date, and the officer who had been passed over was his undeserving brother Joseph. Ill health affected Peyton at The Nile, but his ship, Defence, was still able to engage with the slightly larger French 80 gun Franklin, taking the surrender after a four hour duel. In the aftermath of the battle he wrote to his wife – a wealthy widow in her own right – to say that he expected to receive prize money of two thousand pounds, about a quarter of a million pounds today. 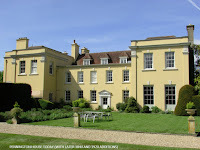 Unwell, he was forced to return home, and retired to Priestlands House, Pennington. On his death, his widow erected a memorial in All Saints Church, Milford, which has recently been restored by Milford-on-Sea Historical Record Society and the 1805 Club. To find our more about all of the Cornwallis Story and the Cornwallis Remembered celebrations, please click here. Friday 5th July 2019: includes a family friendly celebration on Milford on Sea village green and much more. Keep the date free! 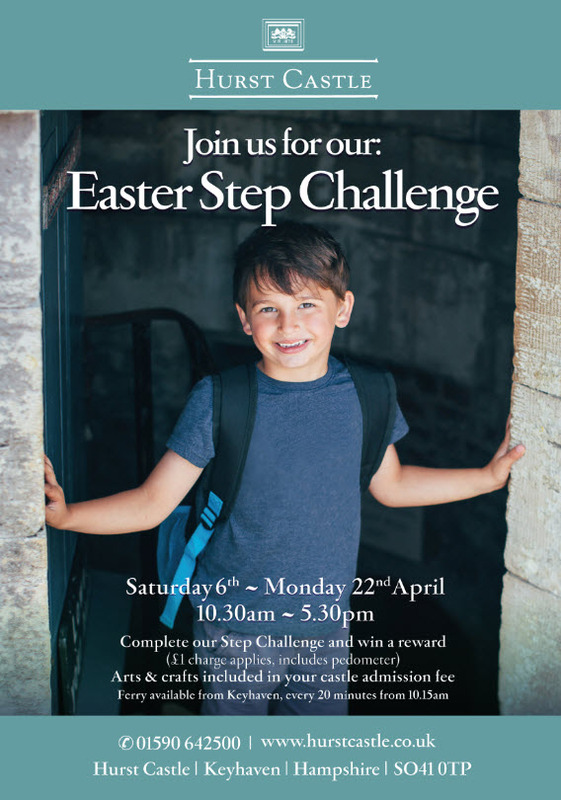 Children visiting Hurst Castle this Easter can earn their chocolate reward by completing a step count challenge that will see them burning off excess energy around the castle. The castle will be open seven-days-a-week from 10.30am to 5.30pm until the 1st November. Access to the castle is via ferry from Keyhaven from 10.15am, then approximately every 20 minutes. Castle admission prices are £5.50 adult, £5.00 concession, £3.50 child and £17 family (2 adults and 3 children). Plastic Free Milford on Sea is a new community campaign to free where we live from single-use plastic. It has organised its first Beach Clean on Saturday 6th April at 10.30am to 12 noon - meet outside the Needles Eye Café at Hurst Road. Everyone is welcome and all kit will be provided but bring your own protective gloves if you prefer and wear suitable clothing. The campaign has been kick-started by the Parish Council along with the Milford Visitor and Business Group and local businesses such as New Forest Paddlesport Company. New Forest District Council is providing the beach cleaning equipment as part of the New Forest Spring Clean Campaign. Together we’re tackling avoidable, throwaway plastic, from our beach, rivers and green spaces. It's not about removing all plastic from our lives. It’s about stopping using single-use plastic and changing the system that produces it. Being a Plastic Free Community does not mean there is no plastic. Being a Plastic Free Community means we are starting work to turn the tide on plastic pollution. It means we are pulling together different aspects of our community; collaborating and including everyone to bring about the culture change we need to see. We are also part of a national network of communities all doing the same, backed up by the national campaigns and actions of Surfers Against Sewage. Milford is linking with the Plastic Free Lymington group who are also organising local beach cleans at on this day at Lepe and Tanners Lane. 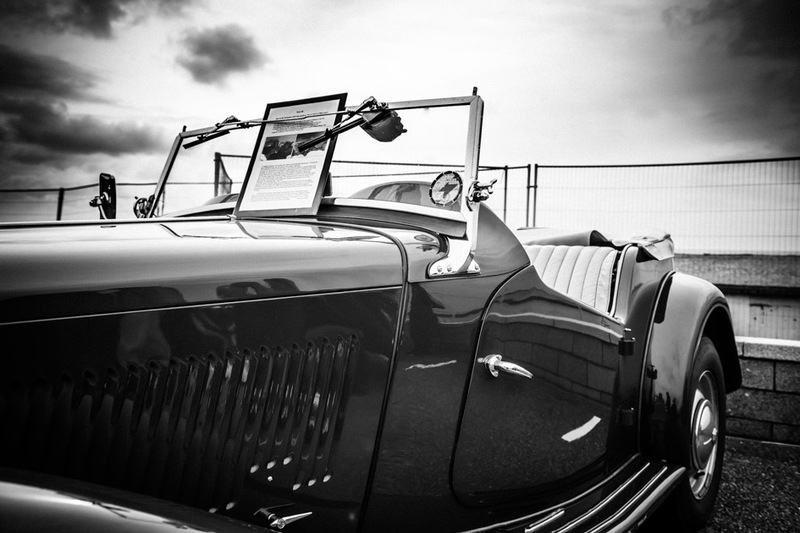 Toby Sears is looking for classic or vintage cars to join a display at the Everton Recreation Ground on Saturday 15th June (which is open to the public 11.45am to 5pm) as part of the week-long Everton Arts Festival 2019. Toby needs to know numbers in advance to make sure they have space and so that in the event of changes/cancellation he can contact any participants! Please let Toby know if you would like to bring your classic or vintage car. The day will also include music from various bands, a car boot sale, Zumba display, T'ai Chi display/workshop, children's marquee, artisan stalls, hog roast, beer tent, WI refreshments, photography display, art competition and display, wood turners, tombola, and a raffle with some good prizes. The recreation ground will open for participating cars from 10.45am, entry via Greenmead Avenue, off Wainsford Road, SO41 0UF. Milford-on-Sea Historical Record Society and The 1805 Club (which was founded in 1990 to preserve and care for the memorials and graves of those associated with the sailing navy of the Georgian era) are holding a number of important events in July 2019 to commemorate the 200th Anniversary of the Death of Admiral Cornwallis (who had lived at Newlands Manor, Milford on Sea). Admiral Cornwallis who held French Fleet in Brest during the Battle of Trafalgar and in turn prevented an invasion of England. Captain Whitby who delivered the news from Trafalgar to Lady Hamilton. The Admirals’ Heritage Trail with accompanying leaflet and map illustrated by local artist Shaun Stevens. A Brief Background: The 5th July 2019 marks the bi-centenary of the death of Admiral the Hon Sir William Cornwallis, one of England’s most renowned admirals. He settled in Milford in 1800 shortly before being appointed Commander in Chief of the Channel Fleet in 1801 and from 1803-1806. It was during this period that Napoleon planned, and came close to executing, an invasion of England. Cornwallis displayed courage, perseverance, determination and leadership through his blockade of the French fleet at Brest and other ports which frustrated Napoleon’s plans to invade England. This action, in the face of major logistical and strategic difficulties and through two winters of unusually severe weather even for the seas off the coasts of Brittany, secured his reputation as one of the greatest admirals of the Royal Navy, respected by his fellow officers, loved by his men, and revered by Nelson. The achievement of preventing a major invasion stands alongside the defeat of the Spanish Armada in 1588 and the Battle of Britain in 1940 in the annals of this country. Admiral Cornwallis & Captain Whitby & Nelson: Admiral Cornwallis acquired the Newlands estate in Milford by lease in 1800 and later purchased the property. He was a close friend of Lord Nelson, a life-long bachelor and formed a great friendship with John Whitby who was his Flag Captain and whom he regarded as a son. After the Battle of Trafalgar and the death of Lord Nelson, it was naval Captain Whitby who broke the news to Nelson’s mistress, Lady Hamilton. 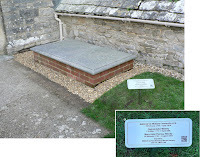 Cornwallis’ Grave and The Three Admirals: In recent years the location of Cornwallis’ grave in the churchyard of All Saints, Milford has been unknown. Cornwallis asked to be buried in an unmarked grave next to his good friend Captain John Whitby. This request was adhered to by Mrs Whitby, but her daughter, Mrs Theresa West, erected a very fine monument in the church, the old gravestone was abandoned, and all memory of it was lost. In 2014 Cornwallis’ grave was discovered but was in poor repair. The Whitby/Cornwallis ledger was conserved to prevent any further deterioration. 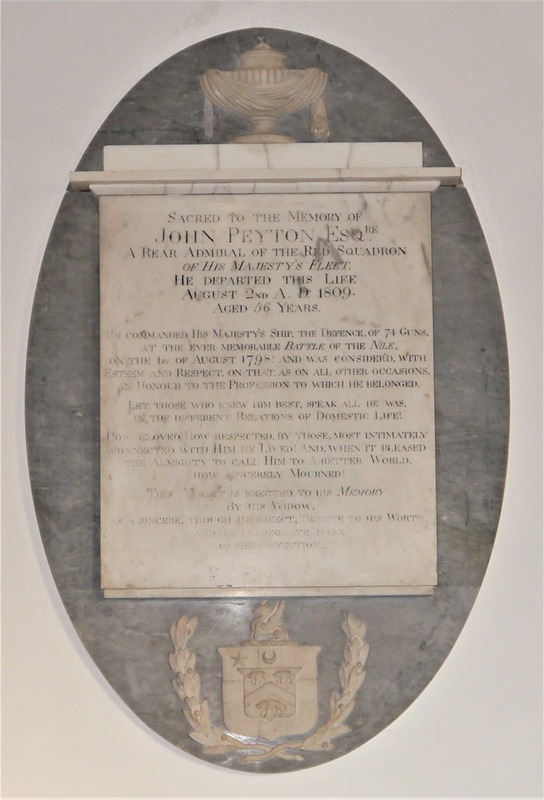 It was decided to renovate the ledger together with the memorial in the church to a second naval officer who served with distinction in the French Revolutionary and Napoleonic Wars, Rear Admiral John Peyton has been restored. 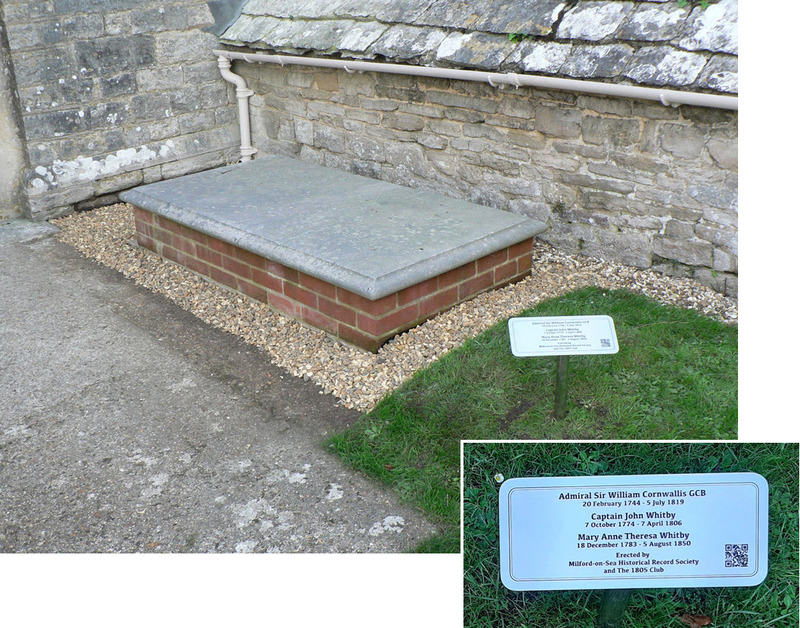 A third senior naval officer and friend of Cornwallis, Admiral Robert Man, is also buried at All Saints, Milford. 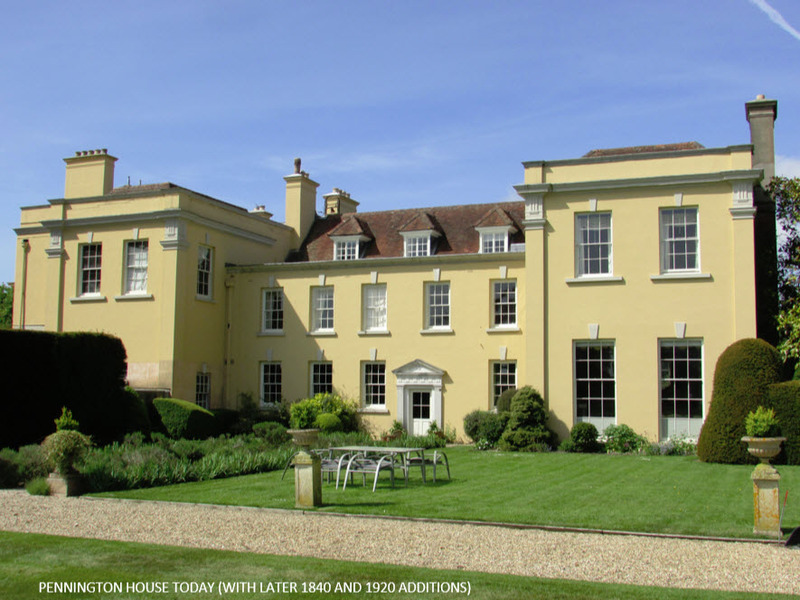 A series of events have been planned by Milford-on-Sea Historical Record Society and The 1805 Club with the active support of the New Forest National Park Authority and St Barbe Museum and Art Gallery. Support has also been received from the National Lottery Heritage Fund, Hampshire Archive Trust, the Hampshire Field Club, local authorities and other local history societies. 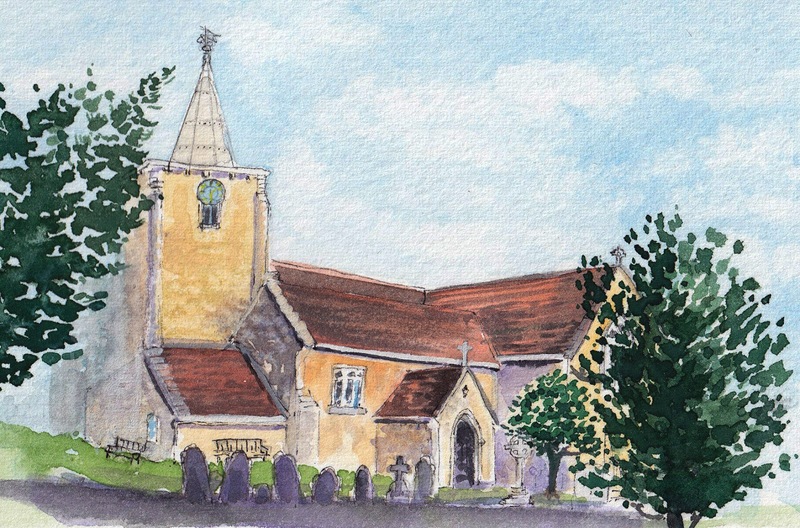 Church Service, Memorial & Stained-Glass Window: A church service will be held on Friday 5th July 2019 conducted by the Bishop of Basingstoke, and senior representatives from Hampshire, the Royal Navy and naval historical research will be attending. The Cornwallis grave and memorial will be rededicated and a new stained-glass window commemorating all three admirals will be blessed. 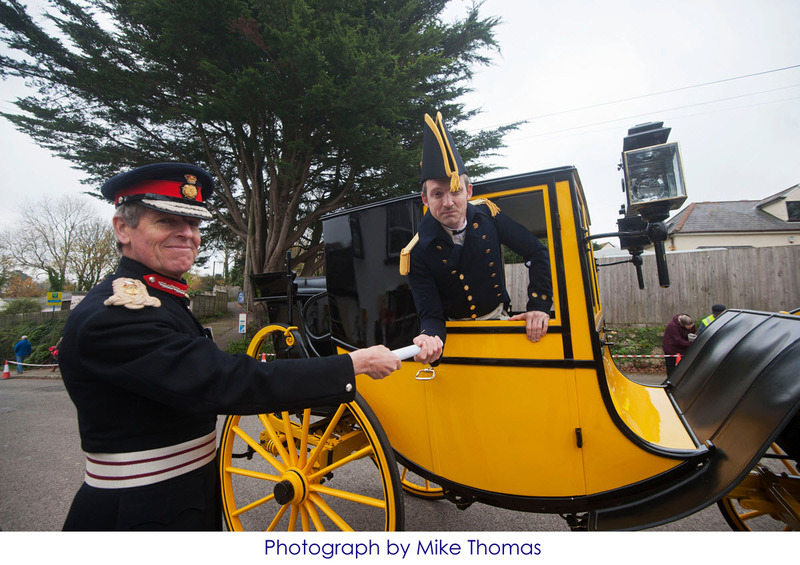 News of Trafalgar by Post-Chaise: The two horse post-chaise with riders in full costume will visit the village school and then proceed to the church service which will be followed by a recreation of the arrival of the news of Nelson’s death and victory at Trafalgar by post-chaise. 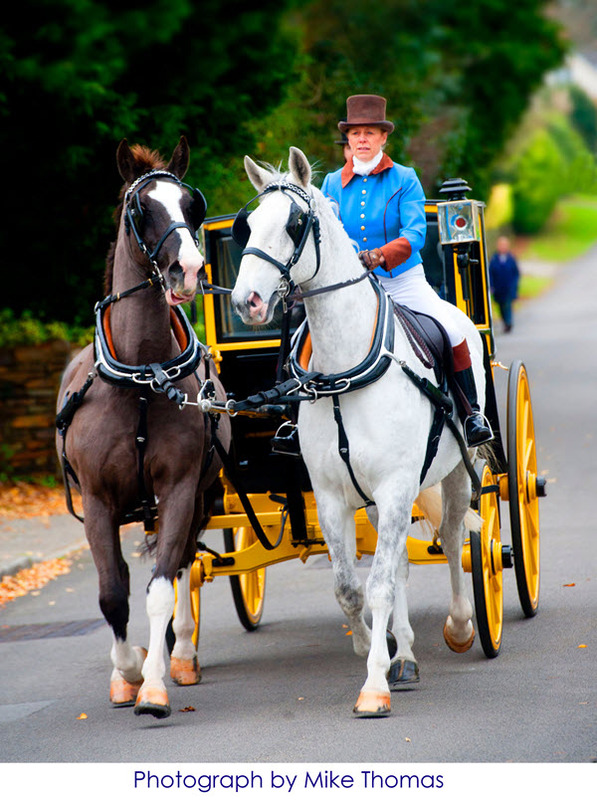 Village Green Celebration & Post-Chaise: The two horse post-chaise will then move to the village green on Friday 5th July 2019 around 3pm until 5pm where there will be a variety of themed entertainment, live music, Royal Navy and Trafalgar Way stands and refreshments provided by local village groups including the Primary School and Royal Navy Catering. Commemorative Dinner: A Commemorative Dinner will be held on Saturday 6th July 2019 in the Cornwallis Suite of South Lawn Hotel, Milford (once the property of Admiral Cornwallis) with a leading naval historian as the guest speaker. Command of the Seas! Exhibition: A twelve-week exhibition entitled, “Command of the Seas! 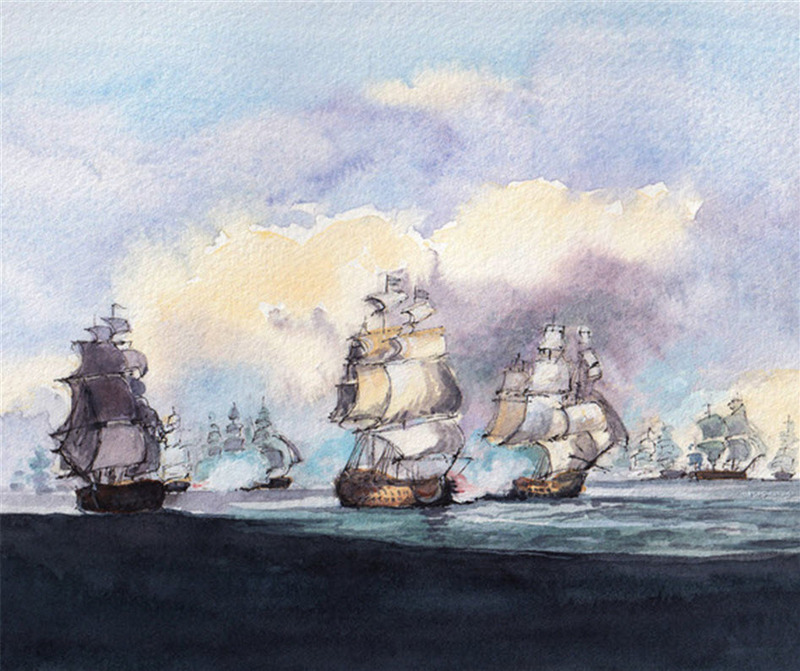 The Navy and the New Forest against Napoleon”, will run at St Barbe Museum and Art Gallery, Lymington from the 8th June until the end of August. Also, Milford-on-Sea Historical Record Society has published a commemorative Bicentenary Edition of its Occasional Magazine with articles on Cornwallis, Man and Peyton. 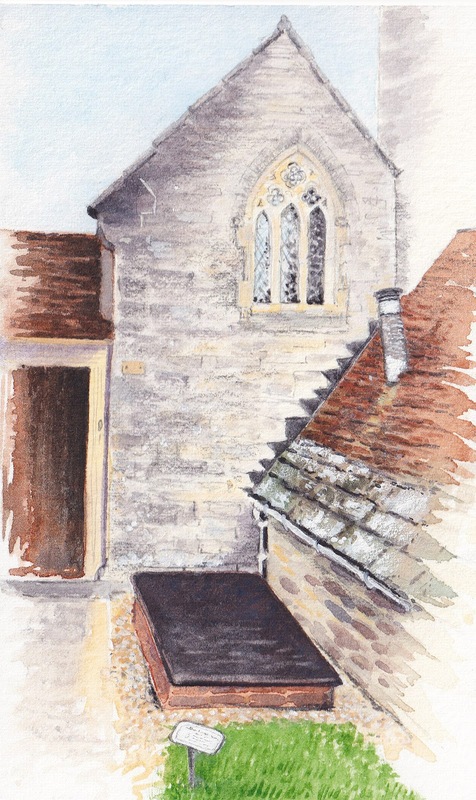 School Workshops: Further outreach activities for the community include, as a lasting resource, a heritage trail from Hurst Castle through Milford and surrounding towns and villages on to Bucklers Hard and Calshot Castle. This is being prepared in conjunction with other parishes and local history societies. In addition, The 1805 Club will be running its Wooden World educational workshops at Milford-on-Sea Primary School in July. 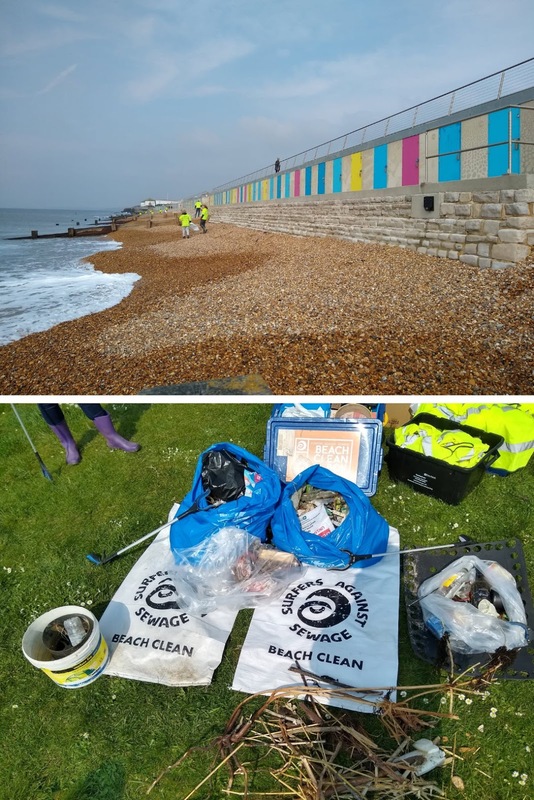 As Hurst Castle prepare to open for the summer season, the Friends of Hurst Castle are holding their Annual Litter Pick on Sunday 7th April 2019, the Ferry leaves Keyhaven at 11am and volunteers can return when they like. The idea is to wander around the Castle and approaches collecting the winters deposits. Necessary equipment will be provided including tea and biscuits. If you would like to help out, or find out more about the friendly bunch of Friends of Hurst Castle, you can contact them below. 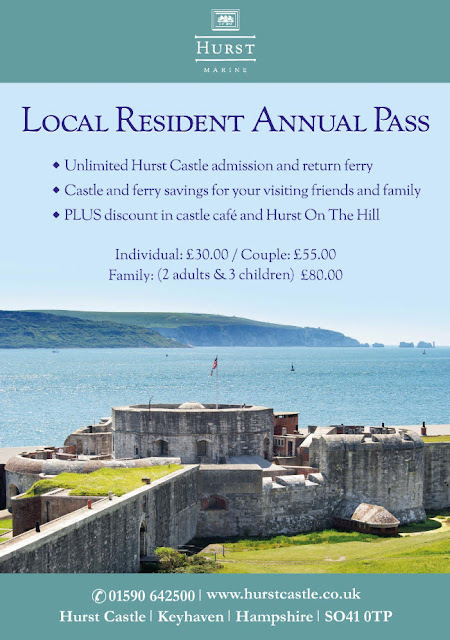 Friends of Hurst Castle is a very local active support group to Hurst Castle, who provide help in any way they can from enhancement of the building, assisting educationally to financially helping with any current project. 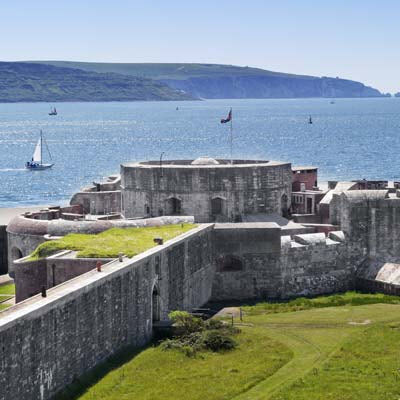 Within the castle, the Friends of Hurst Castle has an exhibition about their work and displays of military memorabilia that has been donated to the castle. 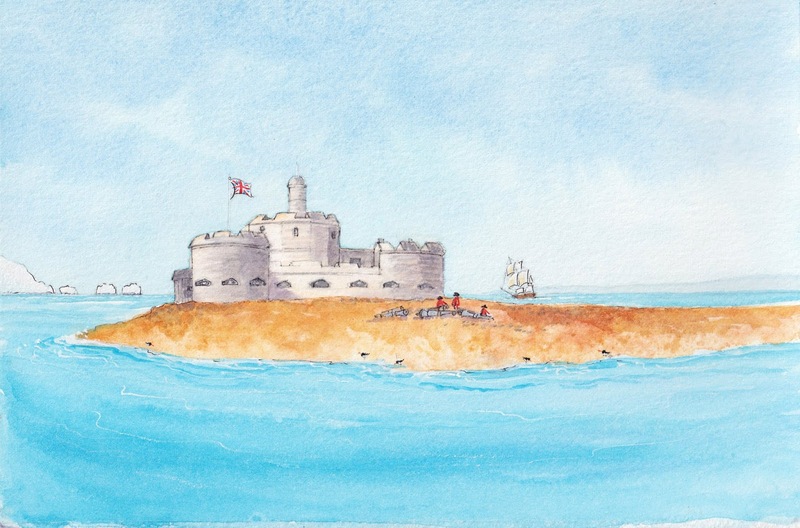 If you would like to become a member of Friends of Hurst Castle please click here to visit the website and for contact details. "There is much wider issue of the whole beach disappearing - I heard that the Kiosk at Hordle Cliff car park was told by the council that by 5 years there will not be a beach! 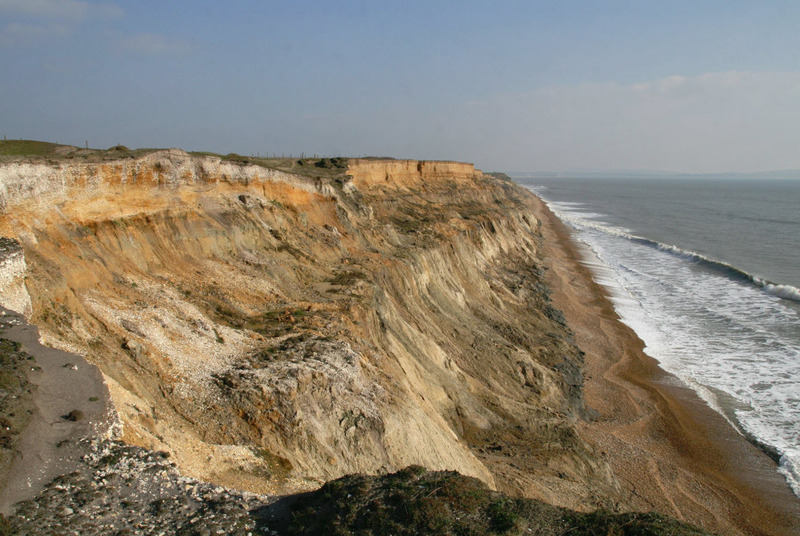 There is a do nothing policy for Hordle Cliff and the expected erosion for this area - which includes Hordle Cliff car park disappearing! Thought you would find this interesting - sorry about the amount of reading! 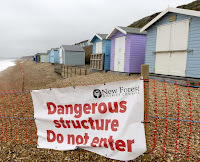 We have written to Council and MP as we are very concerned about this overall erosion - as I previously said it’s a much broader issue than just beach huts disappearing and I really feel that the village should be made aware of this. Editors comment: Knowing how powerful the sea can be the ultimate effects are quite understandable. Hopefully things do not deteriorate too quickly. "Hordle Manor Farm is a family run farm which has been in the Cobb family for over 100 years. Matthew is currently the 5th generation of Cobb farmers. all aspects of welding and fabricating, Harry 15 years, who is currently studying at Priestlands school and helps out on the farm at every given opportunity, Emily 10 years who is being home educated with the help of many wonderful local groups, and mum ,Sarah (46), who describes herself as a full time dogs body to all of the above, who enjoys riding and caring for her horse too. They all live in the farmhouse with our 4 rescued Lurchers and many cats. Hordle Manor Farm is one of the very few remaining small farms, which runs a closed herd of around 100 Holstein Friesian milking cows. They also grow and produce grass silage, hay, maize, barley and straw, which mostly is used for feed an bedding for our cows. Any other feed which is needed is all sourced locally or comes from the South West. Most of the farm's milk goes to Medina Dairy and is then processed and sold in Sainsbury’s supermarkets. However, the diary has been using some of the milk before it is collected and treated for themselves. 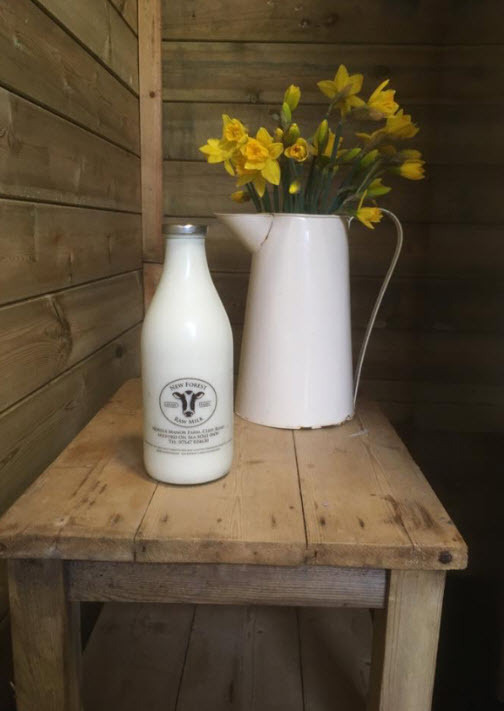 In this state it is called raw milk as it has not been heat treated, pasteurised or homogenised. As it hasn’t been altered in anyway, it is the most amazing creamy milk. Contrary to some beliefs, it is not fattening though. At only around 4% fat. This is a ‘good/friendly’ fat and is needed to help our bodies in many ways. It also contains all the ‘friendly’ bacteria which heat treating kills off. Sarah and Matthew have now decided it was time they shared our secret with the public and have set up a raw milk vending machine. Customers can come with their own bottles or containers, or buy bottles from us at £2 per bottle, which is glass with a screw top, so is reusable. The vending machine will supply however much or little milk you would like and is very easy to use. A litre of milk costs £1.40 but if you don’t want a whole litre, the machine will give you the amount of milk you pay for. The milk vending machine has clear instructions and only takes coins, but does give change. they have sourced as many of the products for their venture as they could locally, including all the signs and flyers from New Forest Printing in New Milton and bottle labels from Gilly Print in Lymington. The logo was designed by Jamie Kedwards - the son of Sarah's childhood friend! Last Saturday the farm opened their doors and have been overwhelmed by the response from the public so far. On our first day they sold in excess of 60 litres of raw milk. Many customers came from lots of different walks of life and they had lots of positive feedback. Matthew and Harry showed some groups of people around and explained how the family have an open approach to their farming methods and are happy to answer any questions or to discuss any issues anyone has. They explained we want to be upfront and open as to where milk comes from, as sadly the whole farm to supermarkets process has become a little disjointed. Emily spent all day explaining to customers how to use the vending machine and met lots of lovely new faces." Directions: From Milford on Sea take the Cliff Road (B3058) towards New Milton. Continue along Cliff Road past the car parks and Scholars Retreat. The farm is on the left, Just after the old churchyard and before Downton Lane, Shorefield Park. Oh, the dairy also has a Facebook page too, you can visit by clicking here. 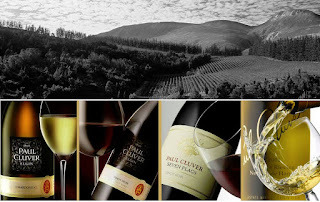 The Cave have announced their next wine tasting evening. 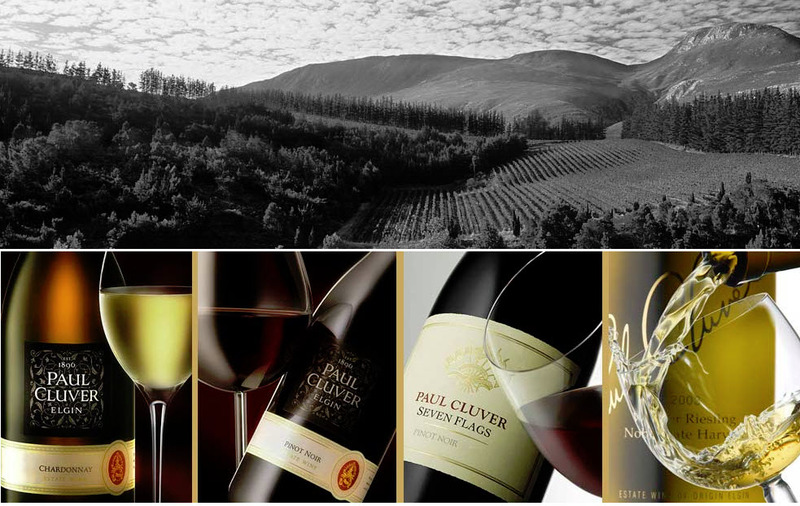 An expert from the Paul Cluver Wine group will be coming in on Thurday 21st March to talk through the history of the company as well as conducting tastings of 9 different wines. Alongside this, The Cave team will be providing snacks and nibbles, all included in the price of your ticket. Only £15 per person. To book please contact below or call in. The Village News at the foot of Milford on Sea village green stocks an awful lot of items for a small shop; newspapers, magazines, stationery, sweets, chocolates, celebration cards and more. 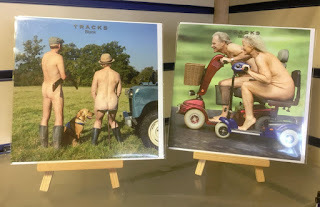 The latest addition to their card range are a little cheeky and I wonder why I feel they are quite suited to the village! 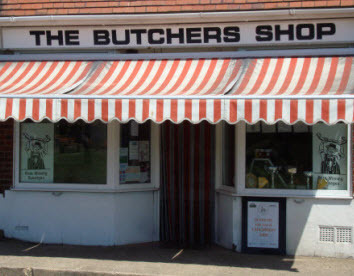 The Butchers Shop in Church Hill, Milford on Sea has yet again won awards for their sausages and bacon, this time at the Great Hampshire Sausage and Pie Competition 2019. 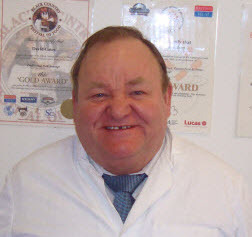 David Gates was handed seven gold medals for his sausages including traditional pork, lamb and mint, beef sausages, pork and cider, Beachcomber pork, Drayman’s pork and also their pork and spring onion bangers. Quite a list, but given time we can try them all! As you may know, we advertise all and any village event on the Milford on Sea Calendar (www.milfordonseacalendar.org) and save this site for local village news. However, on this occasion we are mentioning the event below to support a local mum and daughter singing duo who have spent the past 8 years working towards raising £10,000 with the support of their friends, for Oakhaven Hospice. We're now edging closer to the actual concert date & I wondered if you could find space for the below article (re-written/re-worded, whatever suits you!) in your Milford on Sea News Bulletin pages? Local mother & daughter singers 'The Jems' will be singing at a very special collaborative charity performance with New Forest father & son performers, Liam & Tony White on Friday 12th April at Milford Community Centre. 'The Jems', otherwise known as Jo & Emily Vezey, along with Liam & Tony are joining forces to thank the staff at Oakhaven Hospice by raising funds on behalf of family members & friends, past & present, who have benefited from the amazing service offered. This year marks the 10 year anniversary that Jo & Emily lost their beloved Mum/Gran, Anne Metcalf, who remains an inspiration to them both, & the concert is named in her honour with a song close to both girls hearts 'For Good', describing how they were changed for good simply by knowing Anne. Liam, Tony & Andy Gale (our fabulous sound engineer) have also experienced first hand the compassionate & dedicated care that Oakhaven offers, & the idea for a concert was thrown on the table at a local music event at the end of last year, & plans subsequently took off full steam ahead. The concert will feature Liam's 'Buble Experience', Tony's 'Neil Diamond Tribute' & 'The Jems' will be performing songs from Frank Sinatra to Caro Emerald. The evening will begin at 7.30pm, with tickets on sale at the Milford Community Centre Box Office for just £10. 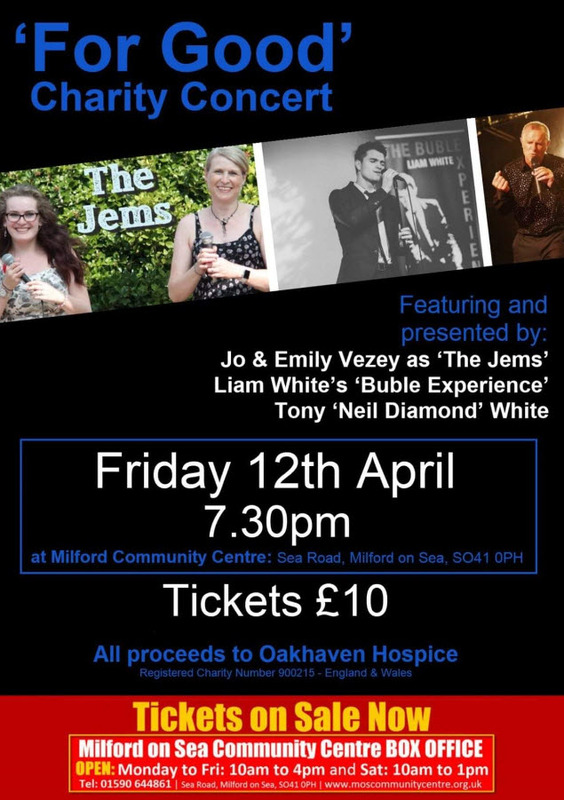 Come & join us for a fantastic evening of entertainment in support of Oakhaven Hospice. The bar will be open! The Daily Echo has reported that the owners of a row of beach huts have been told they have been condemned due to health and safety fears. The Milford on Sea beach erosion has caused a 12ft steep bank to open up in front of the huts and they are now at risk of toppling over. 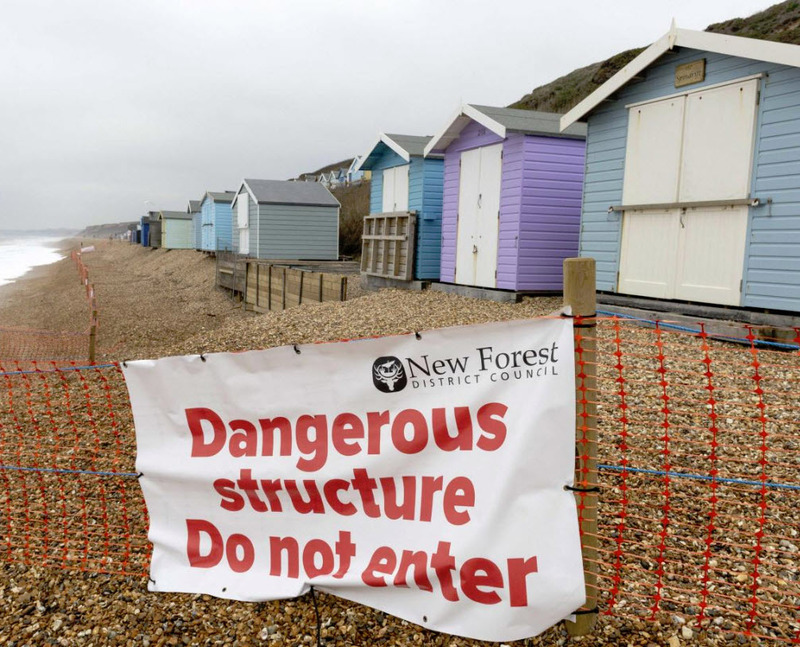 Instead of replenishing the stones as they have done before, New Forest District Council (NFDC) has adopted a ‘do nothing’ policy and ‘abandoned’ the privately-owned huts. The owners will not receive any compensation. 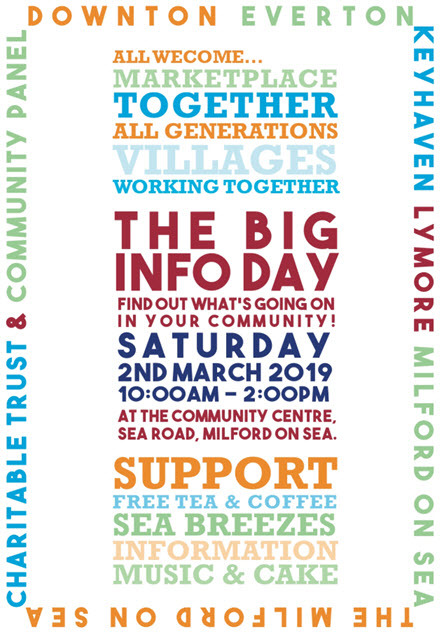 The Milford on Sea Charitable Trust & Community Panel have organised The Big Info Day which is a great opportunity to discover the organisations in our local villages. The Big Info Day will take place on Saturday 2nd March 2019 from 10am to 2pm in the Community Centre, Sea Road, Milford on Sea. Do you know everything that is happening in our local community? You would be amazed at how many voluntary organisations and groups there are in our villages, all offering opportunities for people to get together, whether it’s to share an interest, help others, or make new friends. The Milford on Sea Community Panel, a group of people from many of these organisations, has arranged a special event called The Big Info Day. There will be 50 Groups with stands, that offer activities of all kinds, and for all ages. Our local County and District Councillors are planing to come, as well as member of the Parish Council. The Milford Primary School choir will be singing at 11.30, and there will be free tea, coffee and cake! A key purpose of the Panel is to combat loneliness. We hope that this event will bring people together. As well as groups to join, there will be organisations that offer support. Do you have a relative, neighbour or friend who might benefit from support, or more contact with other people? Why not encourage them to come with you? On the newspaper's 90th birthday, the end of an era was reported for the Lymington Times on the ITV News today. The New Milton Advertiser and Lymington Times has always been a black and white broadsheet and has been created on a 1960's letterpress printer powered by a tractor engine. However, from now it is being printed in colour and in tabloid size. 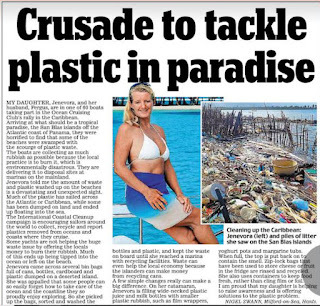 Local Milford on Sea village residents, Nigel & Wendy Swan recently wrote to the Daily Mail about litter in response to their recently launched Litter Picking Campaign and they were pleasantly surprised to see it featured in today’s edition. Their daughter, Jenevora used to live in Lymington, before selling her house to buy a boat. She is currently on a sailing rally, that has just reached Panama. 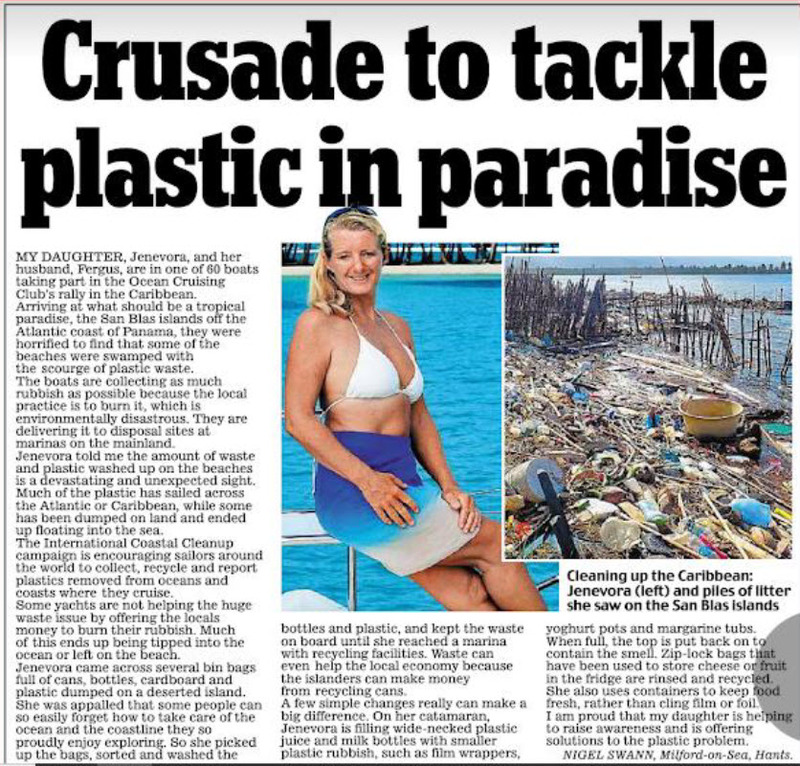 They have collected a dozen sacks of rubbish, while sailing around the (otherwise paradise-like) sandy beaches of the San Blas islands and taken them back to a marina for proper disposal. You can read Nigel's letter by clicking the image above. Milford on Sea has become recognised as a Foodie Heaven on the South Coast. Our delightful seaside village has quality dining restaurants, pubs with great food, and quaint cafés & tea shops, ....indeed something for every taste, mood and budget. 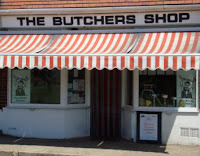 Many also do great breakfasts, run regular dining offers and events, so please visit their websites anytime to see the menus and what is on offer today.